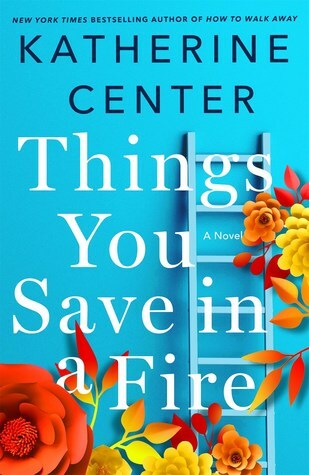 The book I’ve selected for this week’s First Line Friday post is “Things You Save in a Fire” by Katherine Center. I love this book and I think it’s a great first line! That’s a great first line. Here’s mine. Can’t wait to read this! I’m planning to finish Where The Crawdads Sing by Delia Owens. I’m really enjoying this book and can’t wait to finish it! I’ve also been reading A Spark of Light by Jodi Picoult. Normally, I’m a huge fan of her books and will read them within a few days. However, with this one, I’m really struggling to get through. I’m just not a big fan of the reverse storyline. I hope to read Where The Crawdads Sing soon. I’m glad you are enjoying it. I really enjoy JP’s books too. I have heard only good things about this book. Glad you loved it and yes, that first line…wow. I can’t wait to get my hands on this one. Thanks for sharing.